Michael’s Eighth Avenue is the ideal location for your next banquet, wedding, corporate event, holiday party, and more. We have the right size rooms, menu, and prices to fit all your needs. We’ll take care of sound systems, podiums, flags, and other amenities. Our packages include staffing, custom ballroom setup, parking, linens, china, and silverware. Michael’s Eighth Avenue provides the ideal setting for one of the happiest and most important days of your life. Our skilled staff handles all aspects of your wedding, including the menu, decorations, and coordination. Forget any worries you might have about your special day, and get ready to walk down the aisle in joy. We’ve got everything covered, even if there is a little bit of rain (yes we’ve have a plan for that). Our inside venue is made up of four ballrooms illuminated by chandeliers, dramatic staircases, balconies, a second-floor bridal lounge and private suites. Michael's Eighth Avenue has four ballrooms, two have a beautiful staircase leading into the ballroom. The ballrooms accommodate parties large and small and can fit an vision you have to fulfill your dreams, whether it be a wedding, fundraiser or birthday party. You get your choice of linen colors and wonderfully put together menus to help your event succeed. I recommend this venue. The sales representative (Sarah Wagner) that I had the pleasure of working with responded promptly, was attentive to details and special requests and never pressured me on payments. Payments are flexible and can be paid at any time as long as everything is all paid 2 weeks prior to your event. I love that flexibility. The staff are highly skilled and are attentive to anything you need and your guests. My event went smoothly. My wedding came with a cake made by the venue. The cake was delicious and beautiful. My wedding also came with a Maitre'D that does anything and everything for the bride and groom. My Maitre'D was Connie and she is an amazing person that works well under pressure. If you are looking for an all-inclusive venue and no hassle choose them. You will be pleased. I literally have no complaints. Located in the heart of the Mount Vernon cultural district, two blocks west of the Washington Monument, the Maryland Historical Society offers a unique and historic venue for weddings, meetings, and other special events. As Maryland's oldest operating museum and cultural institution, we've been hosting events for over 175 years now. 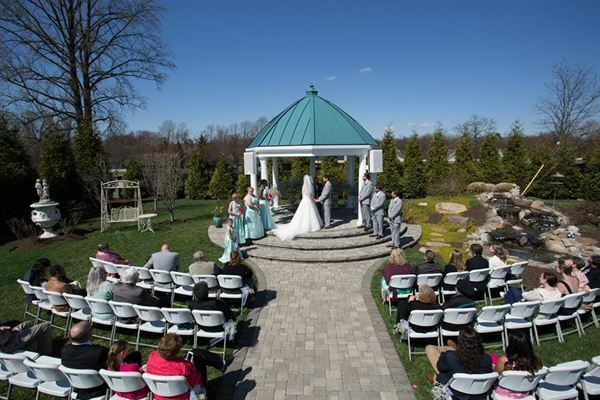 From classically elegant to strikingly modern to a touch of nature in an urban setting – the Maryland Historical Society has a one of a kind venue ready for your next event. Offer your guests a unique experience – host your next event surrounded by over 400 years of Maryland history. We offer a number of different meeting and event spaces at our property including two beautiful outdoor courtyards, a versatile auditorium/theater, meeting rooms, classrooms and more...all for, perhaps, the best pricing in the Baltimore area. On top of this we are able to offer secured on site parking and other great amenities that no other venue can match. Our pricing is incredibly competitive and we are confident you will not be able to find a better value for your money in such an amazing facility. As an added bonus MdHS members also may qualify for a 10 to 20% discount on room rentals. The prices listed on this site are typically based on a four hour rental time. Many of our prices can be customized for the particular event. Please reach out to us to discuss pricing and dates. Contact us today for more information or to schedule a tour!